WASTECON® 2018 had many great attractions. We expect WASTECON® 2019 to be even bigger and better! Led by Nashville-based design firm Stoked, founder Parker Gates and and his team gave a high-energy, highly-interactive Kick-Off Keynote Session. In an interview with SWANA CEO David Biderman, Waste Connections CEO Ron Mittelstaedt’s shares his thoughts on the waste industry and its relationship with the public sector, and how Waste Connections is responding to current challenges. Led by moderator David Biderman, CEO and President,, SWANA, panelists Robin Wiener, President, Institute of Scrap Recycling Industries, Inc., and Stephen Sikra, Associate Director, Corporate Research and Development, Procter & Gamble provided an overview of new policies in place in China and discussed how these policies are affecting the present and future of recycling. Wait, Is There a Plan for This? WASTECON® 2018’s Lawrence Lecturer Michael Cahill summarized the transformation of solid waste management from the Garbage Barge of 1987 through today’s times, with observations on government, politics, regulators, technology, engineers, environmental activists, investment bankers, organized crime, the carting industry and the United States Supreme Court (not necessarily in that order). Tom Morrison, CEO, Florida Automotive Industry Association provided the keys to researching and determining what future disruption is coming in today’s “Uber-ized” economy. Natalie Nixon, Design Strategist, Author, Fellow at Paris d.School and Lecturer at The University of Pennsylvania calls intuition, pattern recognition, and improvisation components in a “chaordic system” that values structure and randomness in reaching solutions and creates order from the daily chaos. SWANA and the Institute of Scrap Recycling Industries (ISRI) presented the 2018 Materials Recovery Facility (MRF) Summit, at SWANA’s WASTECON® conference. SWANA recognizes that, in the solid waste industry safety matters! #SWANASafety That’s why we've curated a program track that focuses solely on safety. 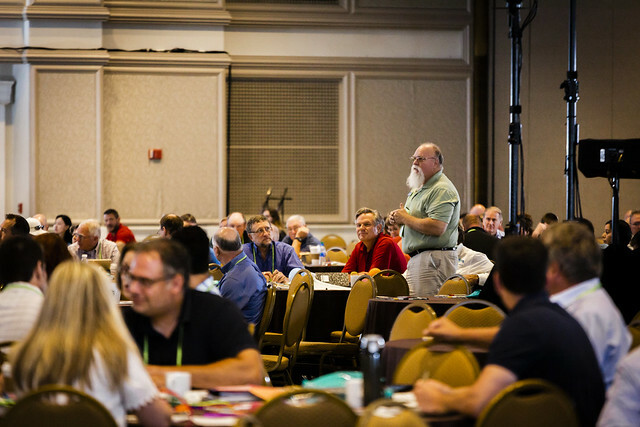 Proceedings and Keynotes from WASTECON® 2018, August 20–23, 2018 in Nashville, TN.